Steven Buchwald of Buchwald & Associates today offered his thoughts on the European Union’s General Data Protection Regulation in regards to how it will impact the small business space. One misconception I’ve seen around GDPR is that businesses that don’t operate in the European Union don’t really need to pay attention to it. Set to come into effect in May 2018, GDPR is a directive designed to update data privacy regulation across the EU. It applies broader protections to citizens of the region and increasing the penalties for noncompliance. One of GDPR’s most frequently-discussed articles is the right to erasure, which stipulates that a company must, at a citizen’s request, delete all personal data from their servers. This idea, Buchwald says, is dangerous for several reasons. Firstly, GDPR does not distinguish between an overseas business and one based in the EU - which means that if a startup acquires an EU-based customer, the regulation applies to that customer’s data. Second, Buchwald feels GDPR may only be the start. Finally, Buchwald notes that most of the regulations in GDPR require only that a business engage in good security practices and data hygiene. Buchwald also advises using a collaboration tool that allows IT to control how files are shared and used, educating staff on proper security practices, and maintaining automated, offsite backups. For his part, Buchwald says that he will continue doing everything he can to help entrepreneurs navigate the oft-complex measures involved in founding a startup - whether that involves compliance with GDPR or anything beyond. 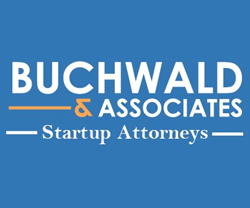 Buchwald & Associates is a full-service law firm with deep tech startup expertise. The firm is managed by Steven Buchwald, a leading startup attorney, helping entrepreneurs navigate through the company formation and fund raising stages, as well as day-to-day issues like drafting and negotiating contracts. Featured in multiple publications such as TechCrunch, Inc. and Forbes, Steven Buchwald is one of the leading legal authorities for business professionals, particularly entrepreneurs and investors.